This the Season to… Breakup? Harsh reality: The holiday season is the most popular time of year to breakup. 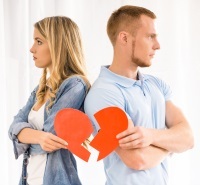 From Thanksgiving through two weeks before Christmas, breakups are steadily climbing to the number one spot of most popular time of year to end the relationship. A number that instantly drops to the least popular day come Christmas. Then spikes again in March - spring cleaning! So why all of the holiday heartbreak? You want to be around people who you truly love, not someone who you’re not so sure about, who you know doesn’t have everlasting potential, or with whom your love has fizzled. You also don’t want to introduce your not-so-serious other half to family members. The more you focus on being with your loved ones, the clearer it becomes that your lover isn’t one of them. Sure, a friend’s party would be much more fun. Even a quiet night at home with a glass of wine and some TV would be a welcome break from the hectic holiday festivities. But your significant other’s office party is tonight and, whether you like it or not, you’re going to go… and like it (or at least act like it). This is important and it’s an expression of your dedication to the relationship. You’re eating too much, drinking too much, and your nerves are on high alert. As much fun as the excess can be, it can also lead to blowout fights that quickly escalate to the bitter end. Like Valentine’s Day, there is the expectation of a gift exchange. And when you’re on the fence about whether this relationship is going to last through the end of the season, many opt to end it instead. A lot of it is the un-experienced glee of gift giving! Giving is, yes, oftentimes as great as receiving. Picking out that perfect present that you just know your partner will love leaves you almost giddy! But when the last thing that you want to do is think of something clever, special, or even decent for your partner, you know there is a problem. But it’s not just about the giving. If we know that we are likely going to end it soon, we don’t want them to spend money on us! Yes, many of us are truly that selfless. Your partner is supposed to be your shoulder to cry on, your chest to decompress on, your ear to listen, and the sage advice to ease your stressed mind. 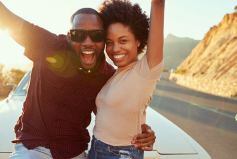 But if your partner is actually the last person who you want to go to for reprieve and comfort, the holiday season will make that repulsion even more obvious. And if you have no interest in snuggling with your partner at night or stealing some romantic couple time by the fire or in a hot tub, you just might feel more iced over when you’re close to their body heat than when on your own. So should you end it or endure the holidays and wait for a “better time?" After all, flights are booked, the family already knows they are coming, and you are honestly really looking forward to that ski trip that you planned… If you truly know that it’s over and that it’s just a matter of time until the inevitable “conversation," end it. Believe me, you don’t want to force togetherness, deal with the incessant triggers that will definitely confront you, pretend to be happy and in love, wish you could be anywhere else with anyone else, and grate on each other’s nerves to the point of a near breakdown and maybe even a nasty in-the-moment breakup. Breakups are never easy to do. Best advice: tell each other what you appreciate about each other, acknowledge the good in them - the reason you fell for them in the first place, thank them for what they have taught you, and authentically and lovingly express why you’re saying goodbye. Tis the season… now get ready for a new year, best you! Click here to find out which online dating site best suits your wants and wishes!